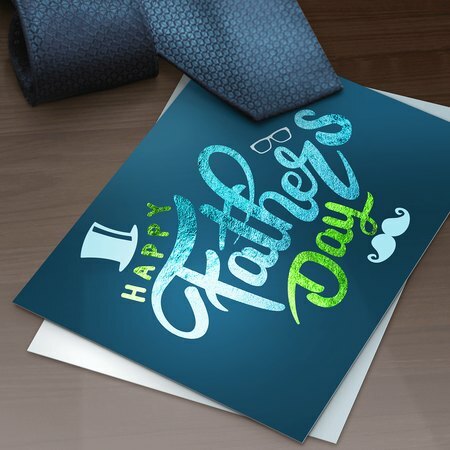 What are the advantages of custom greeting card printing? There's nothing like the warm, fuzzy feeling you get when you receive custom greeting cards. While e-cards, emails, and text messages offer speed and affordability, they cannot replace the tangible beauty of a traditional greeting card. Digital greetings can get lost in a sea of emails and text messages, which is usually what most of us deal with daily. Moreover, they don't have the personal touch that traditional cards offer. With printed cards, the recipient can keep them as mementos safely tucked away in an album or placed on the refrigerator door. This is especially the case with metallic flat greeting cards, which are so elegant and alluring that it's hard not to take notice. What makes metallic flat greeting cards special? If you want to make a lasting impression, you need to go beyond what is expected. Metallic flat greeting cards are a welcome surprise to people's mailboxes. The beautiful colors produced by metallic printing bring out the sharp details of your artwork. Available in five sizes, our custom greeting cards are printed on a sturdy 16 pt. cardstock. Additional spot UV allows you to highlight parts of your artwork to make them pop, while optional mailing envelopes are also available to add a layer of surprise to your greeting cards. Should you send custom greeting cards to your customers? Giving back to customers is something that many businesses practice nowadays. The token doesn't have to be expensive. Sometimes, simple things like sending a greeting card on holidays make a huge impact. Custom greeting cards are not only great for personal communication, but it can also be used as part of your marketing strategy. You can even use it to send a thank you note for your customers' continued loyalty. But you don’t have to wait for a special occasion to send your customers a card. Send in one a week after someone makes a purchase. It's one way of keeping your brand in your customers' minds all year round.